Then and now: the class of 1958. Fr Paul Ryan is third from the right in the second row and Fr David Coffey is at the far left of the third row. Fathers John Ford, Brian Yates and Michael Kelly are respectively, fifth from right, second from right and at the far right of the front row. 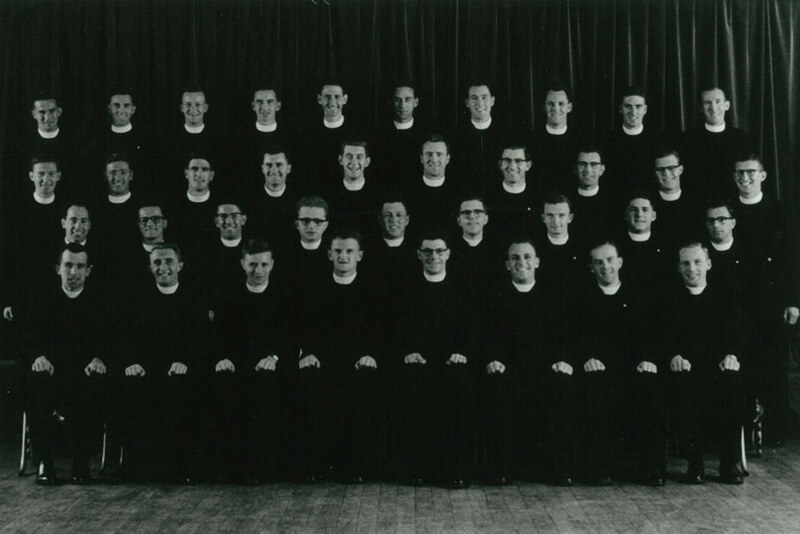 Fr Ken Sargent is second from left in the second row and Fr Don Willoughby is second from left in the back row. This month, seven priests of the Sydney archdiocese celebrate a combined 420 years of service to God and the Church as part of the largest batch of priests the country has ever produced. Cardinal Norman Gilroy ordained Fathers David Coffey, John Ford, Michael Kelly, Paul Ryan, Kenneth Sargent, Don Willoughby, and Brian Yates at St Mary’s Cathedral on 8 March 1958. They completed their seminary training together at St Columba’s College, Springwood, and St Patrick’s College, Manly, and have helped Australia’s Catholics, including seminarians and younger priests, navigate the great changes in the Church and the world over 60 years. 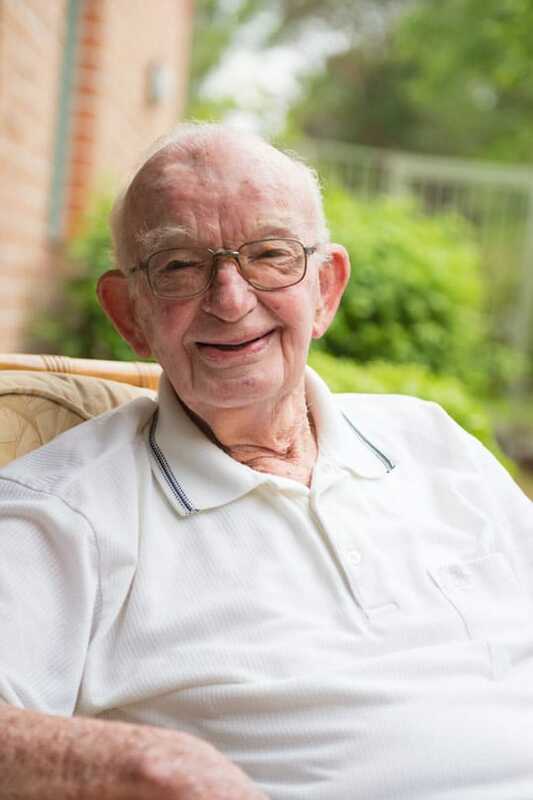 “I haven’t checked the record books, but I think that having seven diamond jubilarians on the one day might just be one,” Archbishop Fisher wrote in a Facebook post on 8 March congratulating the jubilarians. “Thanks be to God for them, for their 420 years of priestly service and for the many more following in their footsteps. All have retired to lesser duties and have had time to reflect on their vocations. 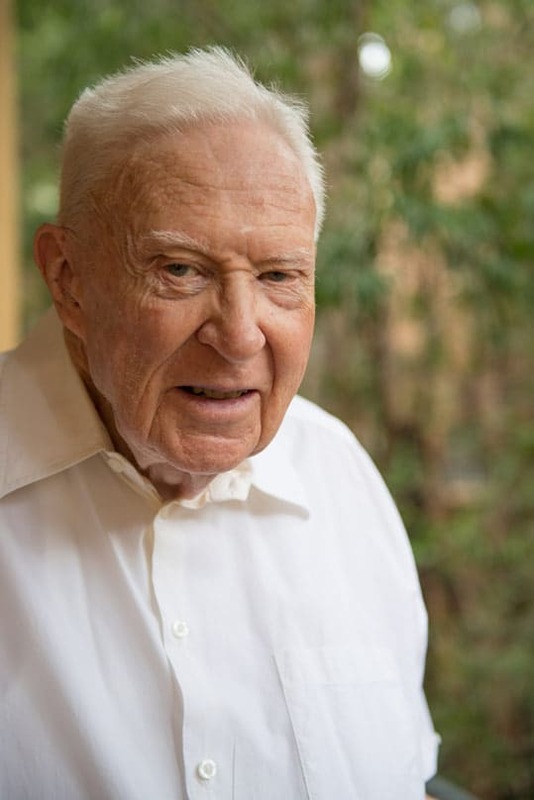 Fr Ryan, former parish priest at St Martha’s Strathfield, told The Catholic Weekly that the changes brought by Vatican II to the Mass and parish life had the biggest impact on his ministry. “We were ordained before it occurred and we are the generation which had to adapt to it,” he said. Fr Kelly, former parish priest of All Hallows, Five Dock, also pointed to the “many changes” that Vatican II brought to the liturgy including the change from Latin to English and the facing of the priest towards the congregation. But the essential things remain. “The greatest gift has been able to stand at the altar in the place of Christ, persona Christi,” he said. For Fr David Coffey, who founded the Australian Catholic Theological Association, the two great highlights of his priesthood were studying under Dr Karl Rahner SJ in Munich after ordination, and the opportunity to take up a chair of theology at Marquette University in Milwaukee. He considers one of the greatest changes in the life of a priest was the move to a collaborative form of parish ministry. Fr Willoughby, who leads the archdiocese’s Galilee House of Prayer and Hospitality for Priests, said he found officiating at funerals to be “most fulfilling” and funeral liturgies much more appropriate in English than the original Latin. “It’s where our Faith is strongest and the Church presents clearly belief in the afterlife and the promises of the Redeemer,” he said. He also appreciated the modern-day assistance of parish secretaries, pastoral associates, finance committees, and parish councils when he was a parish priest.